HomeFab ForumYesterday... and todayWhich 2 Years? For the first time in his life, Magic Alex finally invents something significant – a time machine that will allow you to spend two full years (ONLY) as a member of the Beatles’ inner circle. Which two year period would you chose and why? I would have begun my journey seeing the lads performing live in Australia then hanging out with my new captive audience on a flight from Australia to England the next day. My journey would have concluded 4 days after a reunion of sorts during a trip to Hamburg and 1 month prior to all “Jesus” breaking loose. Among others, I would have met Jayne Mansfield (ooh-la-la), Bob Dylan (another cup of tea, please) and Elvis (just to be able to say I met him). I would have attended premieres of A Hard Day’s Night and HELP! as well as the weddings of Ringo and George. For me, some the coolest concert cities would have been Stockholm, San Francisco, Vegas, Hollywood, Denver (Red Rocks), Boston, New Orleans, Liverpool, New York and the aforementioned Hamburg. I would have also travelled to the Bahamas’ and learned skiing and curling (running 7 miles with Ringo and Paul) in Austria. Lastly, I would have been in the studios for recordings of my favorite LP’s – the period from Beatles For Sale to Revolver . Can’t wait to see all of the different responses/reasons. Chose wisely! What a great question! And what an impossible question to answer. I guess if it had to be a consecutive 2-year period (as opposed to, say, a year in 1963 and then a year in 1967), I would want to go back and see 1963 and 1964. I would want to be there to experience the "climbing of the ladder", so to speak; to hear the news that "I Want To Hold Your Hand " had gone to #1 in the U.S.; to see what JFK airport looked like when the plane landed; all of that. My second choice, though, would be to go back to when John and Paul first met, to be able to see those first early performances of The Quarrymen. It is a great question. For me, I'd start on 24 November 1966, the day they started work on Strawberry Fields Forever . I'd be there for all the Sgt Pepper sessions; Our World/All You Need Is Love ; the filming and recording of Magical Mystery Tour ; Across The Universe and Hey Bulldog ; the trip to India with Maharishi; and the entirety of the White Album , which was released on 22 November 1968. I wouldn't get to see them live, which would be a shame, but to see all that magic being created during the Summer of Love would be consolation enough. Great answers by PeterWeatherby and Joe. It was very hard for me to leave out both time periods you selected. Joe - I considered including the India time frame because all of the footage of Rishikesh looked beautiful. However, it would have been difficult for me to chose whether or not to leave eraly like Ringo and Paul, or stay until a disturbing event lead to John and George's departure. Peter – I also considered the early years. I just felt the music was really rolling during these years – not quite raw any more and not yet (don't yell at me) overproduced. Man.. that's really hard to choose. 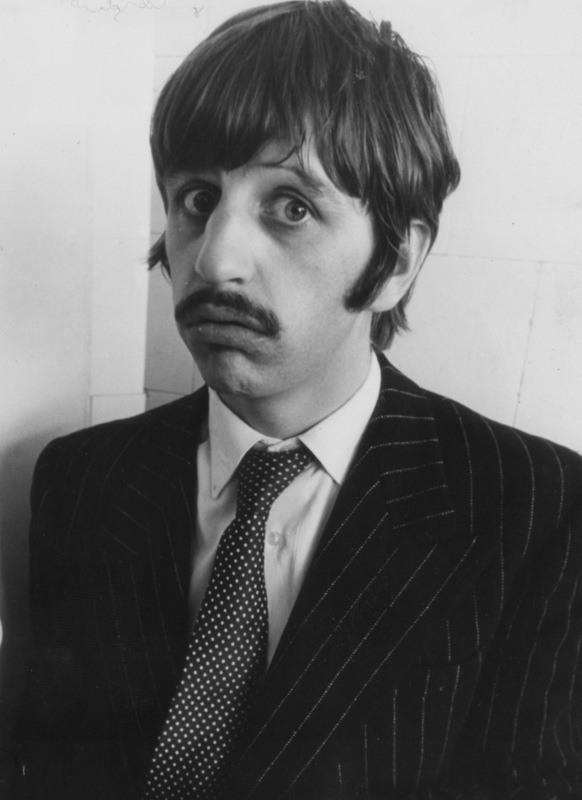 I think I'd love living 1963-1964.... when Ringo was accepted as a Beatle and the early years... why? I don't know.. to see what Ebert says "A beautiful springtime", when the world fall in love with them. I dunno, I'd love to live that experience. This question reminds me of a teacher in high school asked us once "If you could go back in time for one day.. which day would you choose?" ... of course we said nonsense answers and we asked him back and he said "January 30th 1969 in London, at the rooftop of Apple Corp". Years later I was asked the same question and I answered the same. My teacher was a die hard John Lennon fan. My second choice would be watching the process of creating Rubber Soul and Revolver . Why? But again, watching George creating all those great songs... man... this is truly indeed a hard question to answer!!! That is a very tough question. I would go back for 1966 and 1967. I would see their last live performances, the recording of Revolver , Sgt. Pepper and Magical Mystery Tour and the filming of Magical Mystery Tour and Our World. The end of their live years and the beginning of their studio years - some of both worlds. October 1, 1965 - September 30, 1967. I would catch the beginning of Rubber Soul all the way through most of Magical Mystery Tour . That's more like 3 years than 2. It's very difficult to choose which were the best bits. Silly me, I never said Why. 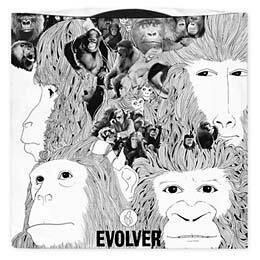 I'd choose watching the evolution of Rubber Soul and Revolver . Those are 2 of my favorite albums. I was giving this a bit more thought. Having recently written about each of The Beatles' concerts in 1963 and 1964, I don't really think I'd enjoy trailing them for two years on the road. They only played for about 30 minutes, couldn't hear themselves, and performed basically the same set on each tour. The stuff in between the concerts would have been good, but I think I'd settle for the studio years each time. I wanted to choose a two-year period beginning with their final concert in San Francisco, but it would have meant a lot of downtime in the summer of 66, and missing out on a load of White Album recordings. When I came up with the idea for this topic, I was hoping for many different answers and reasons. I am not disappointed. Some of you wanted to be there for the early years, some wanted the studio years and some wanted to be present for the recording of your favorite LP’s. That is the beauty of a thread such as this – no wrong answers! Would it have been cool to be at the hotel in France when the wire came in announcing “we” were number one in the US? Hell yeah. To be there when the Pan-Am flight touched down in New York? You betcha. To experience the creativity of the studio-only years? Is the Pope German? In all honesty, my choice of years was based purely on selfishness. 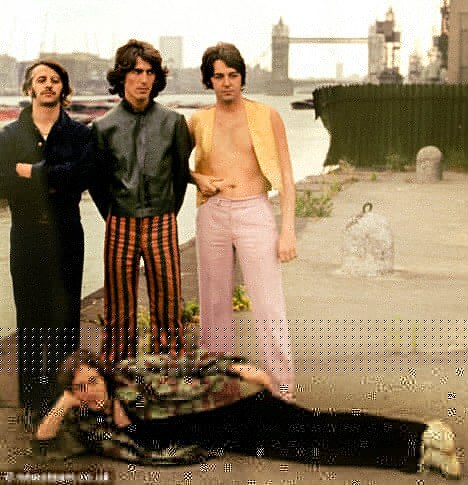 While in the company of the Beatles, I wanted to do the things that I wanted to do, go to the places I wanted to see and meet the people I wanted to meet (I, Me, Mine). I would be remiss if I did not mention that I would not have been able to come up with my 2 year period choice without the History section of this web site – well, I probably could have, but knowing me as well as I do, I think I would have been too lazy to perform all of the research myself. Thank you Joe! Lastly, thanks to all of you who contribute to this site on a regular basis. I enjoy learning from you all. May 24 1968 - April 10 1970. I'd see all the White Album stuff, the Get Back sessions in their entirety, and see the vicious attacks in private between members. Ohhh I love this question! Ok lets see. I think I would go from May of 1967 to May of 1969. I can basically see them work on Magical Mystery Tour , Yellow Submarine , White Album , most of Let It Be , and parts of Abbey Road . Great time for music. I would also sit next to Mick Jagger at the All You Need Is Love taping, watch Jimi Hendrix perform Sgt. Pepper 's, travel with them to Greece, sadly see Brian die =[, sit on the Magical Mystery bus, see John and Yoko in action, see Paul and John's weddings, meet Clapton, India, watch the demise of the greatest band of all time, and wear some hippie clothing. Oh yeah! Now I'm excited, can this actually happen? I would give anything, ANYTHING, to see thier songwriting process at that time. Those songs are many of my favourites, and that would be a dream come true to learn from that. To see how they came up with the ideas they did, and how they built around them. To see the excitement when they play something that clicks. The look on Paul's face when John shows him In My Life for the first time. When they discover that songs can actually sound good when played backwards. I can't imagine what that would be like. Good question! I wish I'd seen it earlier! Anyways, I'd choose 31 January, 1967 (filming the "Strawberry Fields Forever " video) through 30 January, 1969 (rooftop concert.) I really don't need to recount all the remarkable events and achievements (plus, inevitably, some alltime lows) that occurred within that two-year window, do I? Didn't think so. For the first time in his life, Magic Alex finally invents something significant. Can this time machine be used multiple times? Yes - once to get to your destination and once to get back. JET! - That's the first time I've been called he/she - oh wait...there was that one time at summer camp. Ah well, it's all good. And to solve the mystery for you, I can count to 21 in the shower. Great question, I can't believe I didn't post in this thread almost a year ago. I would start on 11 November 1965 and see the Beatles record You Won't See Me , Girl, Wait and I'm Looking Through You in the same day and end on 11 Nov 1967 where, according to Joe, absolutely nothing happened! In between, I'd see the eventual release of Rubber Soul , a bit of touring, the Revolver , Strawberry Fields, Pepper and Walrus sessions. Sounds fun.